"Where can I find height growth strategies that are actually proven to work? ", you've just found yourself in the right place. Height Maximizer is where individuals all over the world turn for height growth advice. ... at Height Maximizer, you can discover height growth hacks that are proven to work for anyone, no matter how old you are. "Your height is completely limited by your genetics." "Height growth is impossible after a certain age." These is the biggest lies that you will ever hear in your life. ...even if you're a full-grown adult. And that's where Height Maximizer comes in. This blog is where I show you the exact tips, strategies, and hacks you need to grow inches taller in a span of a few weeks. No BS or some "magic". Just actionable steps that are proven to make you taller. 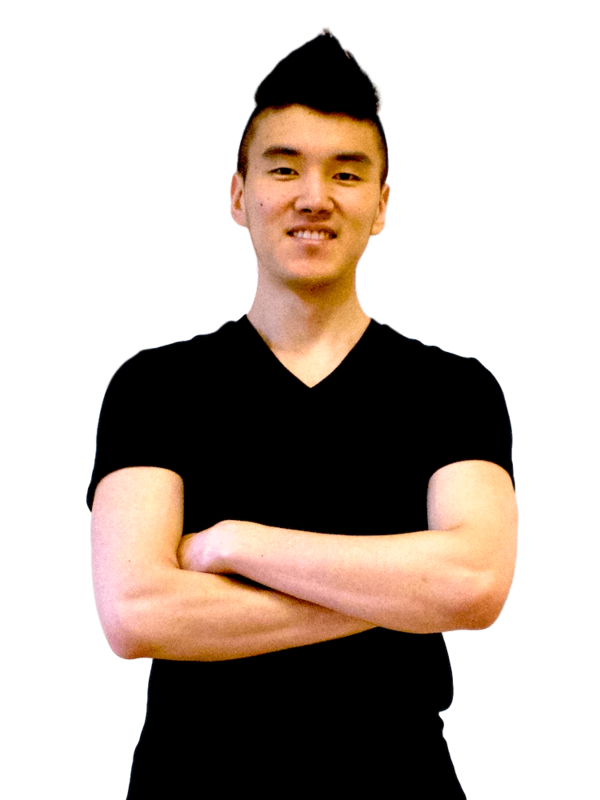 Height Maximizer was founded in 2017 by Jason Yoon, an internationally recognized height growth expert. To find out how much he can grow as an adult. He grew 2.8 cm (1.1 inches) when he was 23 years old. Throughout his journey, Jason has documented various strategies and hacks that allowed him to increase his height at such a late age, and now shares these proven tips to his blog readers and email subscribers. In other words, there is nothing you need to do, since you’ve already signed up! Before you can receive free height growth hacks and strategies, you need to confirm your email right now. And you’ll get instant access to the height growth tips, strategies, hacks, and more! If for some weird reason you don’t get your email after a few minutes, check your Promotions tab or spam folder. There is not a single thing about growing taller that you can't find on Height Maximizer. There is a lot of misinformation about height growth on the internet. If you're serious about growing taller, Jason will guide you in the right direction. If you're looking for legitimate ways to grow taller, Height Maximizer is your go-to resource. When it comes to height growth, Jason Yoon is the best in the industry. No BS, just results. Want actionable height growth tips from me? Most so-called "doctors" and "health practitioners" claim: "height growth is impossible after a certain age." That is the biggest lie that you will ever hear in your life. In fact, there are proven strategies and techniques that you can use today to add inches to your height, even if you're a full-grown adult. Then join 58,379 others (including top health & fitness experts all over the world) that get my exclusive height growth tips via email. Then join 58,379 others (including top health & fitness experts all over the world) that get my weekly height growth tips via email. Limited by his short genetics from parents, and surrounded by friends who are all taller than him, Jason decided to go on a serious mission to transform his height. He grew 1.5 inches when he was 23 years old. There are way too many people that think your height is determined only by your genetics. They say, "when you become an adult, height growth is no longer possible." While these statements may seem like they're common sense, they're simply not true. Because I myself have overcome these 2 limiting myths, and grew 1.1 inches when I was 23 years old! I have many friends, and have also received emails from people all over the world who have achieved similar, if not, better results than I have! By applying height growth hacks that are proven to work. These hacks are specifically engineered to help you grow taller even after you've stopped growing for years. And if you're still growing, you can also benefit from these strategies, and much more. All you need is a bit of dedication and commitment. But once you understand the true science of height growth and put these strategies into action, you'll add inches to your height in no time. If you want to get access to proven height growth hacks that work specifically for your age, just enter your email address below, and you'll gain instant access. Because I myself have overcome these 2 limiting myths, and grew 3.7 inches when I was 28 years old! By implementing a very simple 3-step formula. This formula works for anyone, no matter how short your genetics are, or even if you're well past your puberty days. All you need is a bit of dedication and commitment. But once you understand the formula and put it into action, you'll add inches to your height in no time. If you want to get access to this formula (including a real-life case study of this formula in action), just enter your email address below, and I'll send it over.